My love for sweet hand pies has expanded into the savory side. 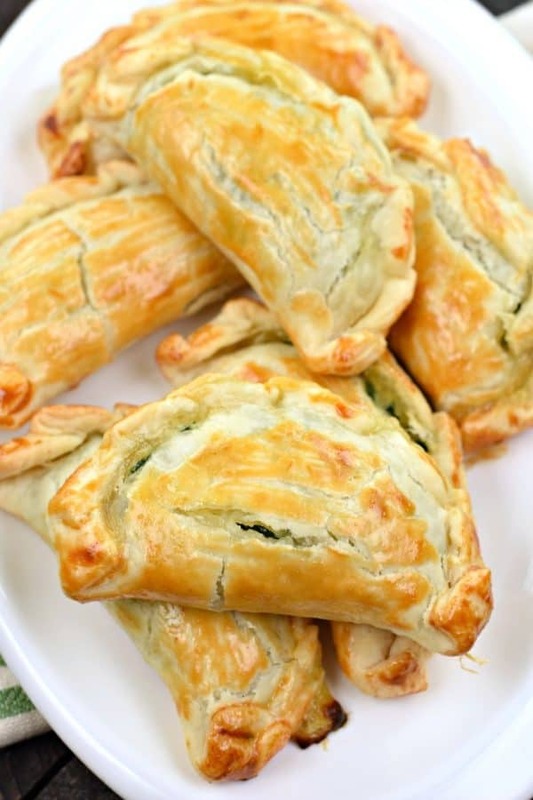 Every time I post a recipe for a hand pie, I always get comments from people claiming they should be called Empanadas. And it’s true. Mine are not authentic. But they are DELICIOUS. And easy!! I’ve topped them with my favorite Chimichurri sauce. Start with a flaky pie crust. If I’m looking to cut time, and keep things simple, I choose refrigerated pies crusts. However, using my homemade pie crust recipe gives these Empanadas a true flaky crust! You’ll then saute your spinach, butter and onion in a skillet. I know you think 4 cups of spinach is too much, but trust me…it cooks WAY down. Use a 4-inch biscuit cutter to make your circles in the pie crust. I had enough filling to fill about a box worth of hand pies (empanadas). And if you re-roll your crust, you should get about 12 empanadas with each box of pie crust. Adjust to suit your family needs! Whip up an egg yolk and brush it over the pie crusts before baking. 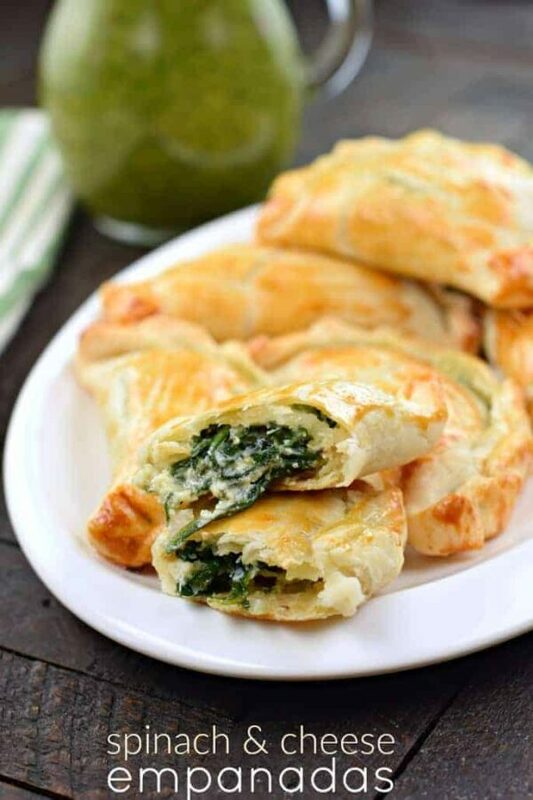 It will give your Spinach and Cheese a richer color, but it’s completely optional. Pepperoni Hand Pies. Many times we eat these for dinner, but they also make a great after school snack or lunch. Serve them up with your favorite marinara sauce. Rebecca has a recipe for Shepherd’s Pie Empanadas and I’m totally putting them on my dinner menu! Well, first I’ll make Shepherd’s Pie, as her recipe uses up leftovers to stuff inside empanadas. So smart! This delicious ground Turkey Empanadas recipe from my friend Jocelyn will become your fave go to snack or game day food! 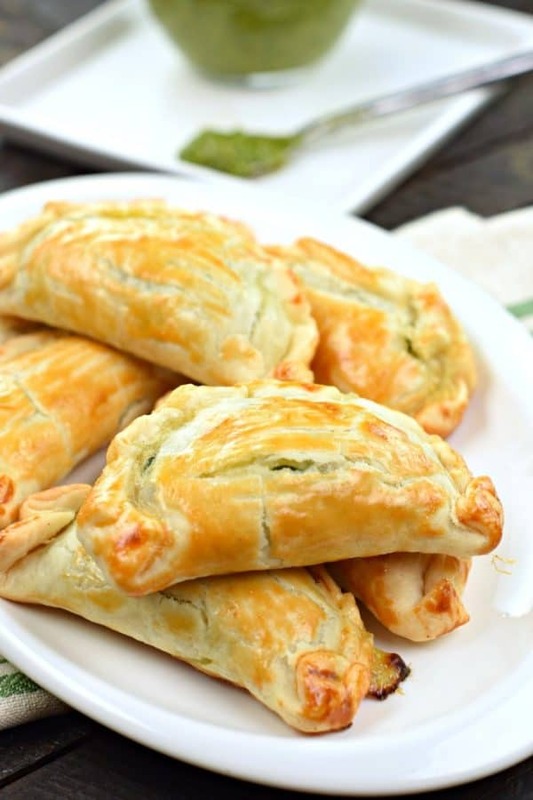 They are filled with flavor and the flakiest crust ever! 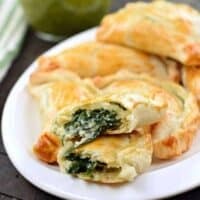 Years ago I shared this Easy Baked Chicken Empanadas recipe, and to this day we still love this dinner recipe! The cheesy saffron rice side dish is the perfect complement. Unroll pie crust from package. Using a 4-inch biscuit cutter, get all your crusts ready. Re-roll crust and cut out more. You should get about 12 circles. Set aside. In a large skillet, saute butter, onion, and fresh spinach over medium high heat. Stir and cook for several minutes, until spinach cooks down. Set aside. In a large bowl, combine egg, ricotta cheese, parmesan, salt, pepper, and nutmeg. Stir in spinach mixture until combined. Using about 1 large tablespoon scoop, fill each pie crust circle with a dollop of filling. Fold in half and pinch edges. Seal by pressing the tines of a fork along the edge. Repeat with all circles. Place empanadas on a parchment paper lined baking sheet. Brush tops with beat egg yolk for a rich color (optional). Bake for 18-22 minutes in a 425°F oven. Serve with chimichurri sauce and enjoy! Made these today for lunch. 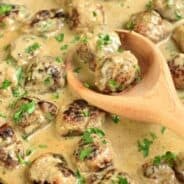 Absolutely delicious and I can’t wait to make them again with a different variety of ingredients. 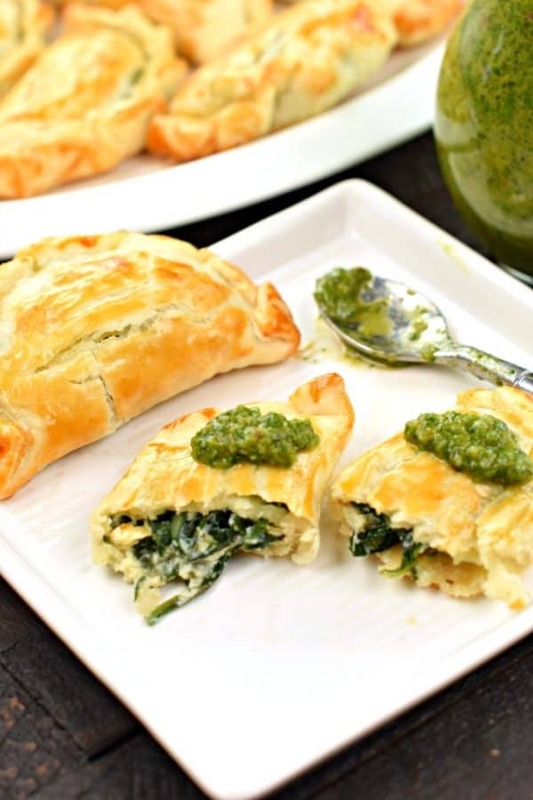 Adding the chimichurri sauce made these empanadas even better. 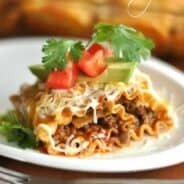 These are just delicious, I made a batch up for book club and everyone LOVED them! Cute little spinach appetizers that everyone gobbles down! 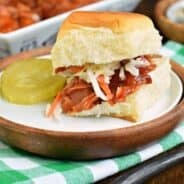 Great for holidays and entertaining during games.